I have always been attracted to the idea of exclusive high end clubs from the 20th century. The element of sophistication as well as the feeling of a community is what appealed to me the most. A similar social club was established during the 1920s in Chicago, known as the Tavern Club. Most of its members were distinguished in their fields such as Carl Sandburg, William Wrigley, Arthur Wirtz, Jack Brickhouse etc. 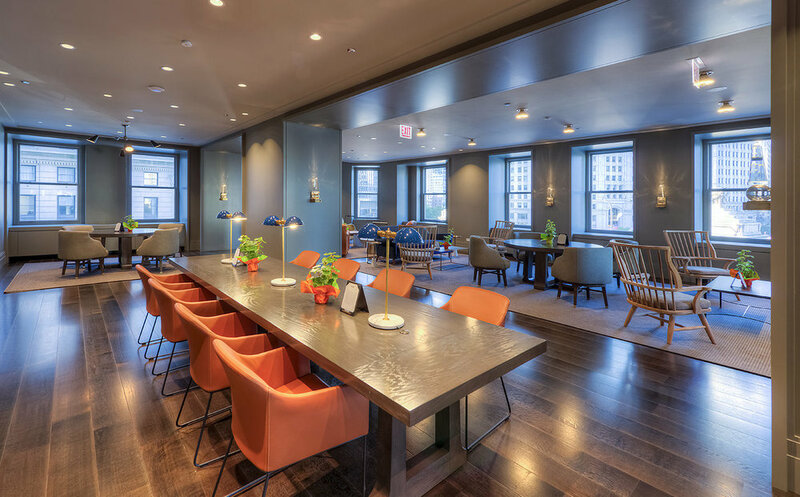 It was a place where family and friends gathered to enjoy their leisure time, while looking over the breathtaking views of Michigan Avenue, Chicago River and Lake Michigan. The recently renovated Tavern Club, located at 333 N Michigan Ave, has combined the classicism from the original Tavern Club with the modernity of today’s era. From Carl Sandburg’s original poems to pottery created by famous artists, the Tavern Club’s luxurious makeover has still continued to maintain the history, art and literature that were initially created during the 20th century. The image shows the intimate room where all the history related to this club is displayed. The Tavern Club at 333 is an upscale venue location which can be rented after 6 pm and during the weekends for all kinds of events. Whether it is a meeting for a corporation or a family reunion, a rehearsal dinner or a cocktail party, this venue is a great fit. As someone who has recently visited this place, I can most definitely vouch for it! During the day, the lounge is used as a co-working space which is open to anyone who wants to be able to work peacefully without any distractions (shown in the image below). If the venue’s historical background or its magnificent views are not enough to pull you towards it, then I am sure the variety of amenities provided will definitely seal the deal for you. The Tavern Club at 333 has a full service high-end bar with high quality drinks available at all times. Their liquor menu is quite extensive providing a variety of your favorites. Other than the drinks, there are also snacks available at all times for purchase. The location also provides a full kitchen with catering service. In fact, the Tavern Club has now partnered with Amazing Edibles to provide you with the most delicious food for all your events. That’s AMAZING news! You can check out our variety of menus at https://www.cateramazing.com/menu for your next event at the Tavern Club. Last, but definitely not the least, one of the best services they provide is discounted reserved parking at East Wacker Drive. Yes, you read that correctly. The Tavern Club at 333 provides parking at lower rates after 6 pm and during the weekends. Now your guests can easily attend your event without worrying about any parking hassles! “The perfect blend of vintage and contemporary” – this is the phrase that perfectly describes the Tavern Club at 333. I highly recommend you to book this venue for your next event. For more information, call Erin Houlehen at 312-925-8984 or email at info@tavernclub333.com. You can also visit their website https://tavernclub333.com/.